Vladimir Putin has banned all pictures depicting him as a potentially gay clown, so “Late Show” host Stephen Colbert put together his own “artistic interpretation” of Russia’s president as exactly that. “Because this is America — for now — and we can do anything we want, the ‘Late Show’ has put together its own artistic interpretation of Vladimir Putin, gay icon,” he told audiences on Friday night. Colbert listed some issues with this new ban, given that it’s hard to differentiate a straight clown from a gay clown. He then showed examples that could have been the trigger for the ban, like, Putin adorned with colorful makeup, with the words “Stop Homofobia” written over his forehead. “I don’t see clown, I see more Joel Grey in ‘Cabaret’ meets sad dog,” Colbert said, before showing another potential picture. 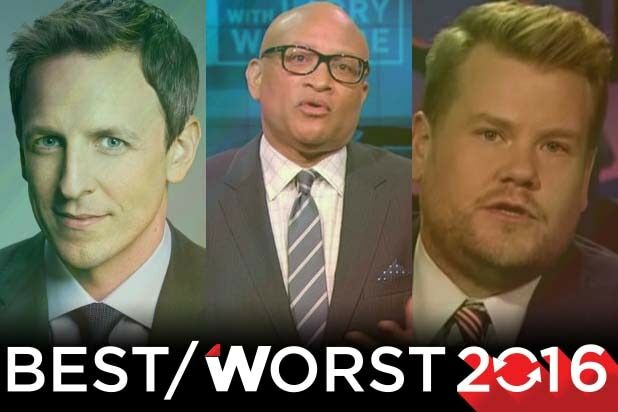 TheWrap's compiled 17 of the biggest and best viral videos from late-night TV in 2016. Each daily show gets two representatives, the weekly versions have one. And since we're in the Christmas mood, even the canceled "Nightly Show" is represented. Click the links to watch each video. "Jimmy Kimmel Live": Deleted Scene From "Batman v Superman"
This may have made the movie more watchable. No heavy metal here. All light plastic. Let's be honest -- this is what we all were waiting for. "Hello," millions of web views. High times on the streets of Los Angeles. Perhaps they should have went with an I.Q. test, instead. Suffice it to say, he's against it. Watch this and reminisce when Donald Trump merely running for office felt charming. Donald Trump isn't the only bully on Twitter. Conan O'Brien doesn't play video games, but when he does, he rolls with the Lannisters. Ever get the feeling that Christina Aguilera is growing weary of the impressions? Again, a more quaint time in mocking the Trump Family. Airplanes in the night sky are NOT shooting stars. Somehow people thought these two were dating after this icy interview. Who knew Ross from "Friends" could rap? Good luck topping those, 2017!